This evening of glamorous entertainment is without doubt one of the most popular show events in Phuket. From the moment you enter the stylish and luxurious venue, you realise that this is going to be a very different and special night. Thousands of people who have seen the shows come away with an experience never to be seen again, only in Thailand. All the female stars of the show are in fact men, and they have fulfilled their transsexual desires to become some of the most beautiful women you will ever see. Maybe you will spot a famous ‘Star’ from your own country. Come along and enjoy this unique show, be amazed at the professional approach to each musical theme, laugh along at the comedy and fun, this is not a show about language, it is a visual spectacular that will have you leaving wishing there was more to see. Child not over 140 cm. Complimentary is applicable to children aged 1 – 4 years. 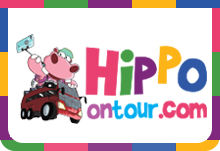 Please call Hippo On Tour Number : +66 2 116 6767 or +6686 339 4174-75 for further information. Kindly present your Travel Voucher at Phuket Simon Cabaret Show Entrance Counter. Lead travelling party holding the confirmation voucher must present a valid photo ID for this exchange. For Further Information, please call Hippo On Tour Number : +66 2 116 6767, +6686 339 4174-75 (08.30 hrs. - 17.30 hrs. daily).